Elizabeth Lugg is a highly experienced family practitioner with over 20 years experience. 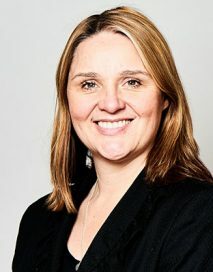 Her practice is exclusively public law (mainly for parents) and private law, where she has a specific interest in applications relating to removal from the jurisdiction, and appeared in F (Children)  EWCA Civ 1428 for the successful Father in the Court of Appeal, a case that was then referred to regularly thereafter as subsequent developments in Internal Relocation jurisprudence proceeded. Elizabeth Lugg has a reputation as a tenacious barrister who does not demur from a fight. She enjoys sharing humour with clients and colleagues alike, but her court approach is highly focussed and thorough. As a mum and a step-mum, Elizabeth brings to family law a knowledge of the challenges of parenting birth and non-birth children. She is pragmatic and particularly good at finding practical solutions to logistical family problems, as well as providing advice on pitfalls to avoid for the future. Elizabeth regulary receives instructions from an early stage allowing her to provide ongoing guidance on evidential avenues to explore to maximise the chance of a successful final outcome for the client. Elizabeth has represented both parents, local authorities and interveners in the full range of care cases including skull fractures, shaken baby cases, rib fractures, multiple bruises, single bruises and chronic neglect. Her close attention to the detail of cases involving voluminous papers has provided the bed-rock for some of her more notable successes.